The dictionary defines adolescence as a transitional stage of physical and mental human development that occurs between childhood and adulthood. 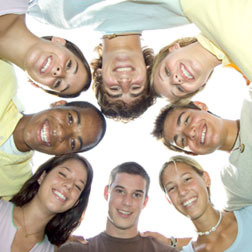 During this stage in life, adolescents go through many biological, social, and psychological changes, and are likely to be influenced at some point with peer pressure by other teens. These adolescents are faced with having to make “adult decisions” at a younger age which could have life long effects. Some of these challenges are drug related, including androgenic anabolic steroids (AAS). Peer pressure for teens can be a very powerful reality manifested in a variety of negative ways. They can start to behave and do things in which they wouldn’t normally do because they are hearing certain things such as “Come on, It won’t kill you”, “Everyone is doing it”, or “What are you afraid of”. This is a very difficult time in a teen’s life, because they don’t want to stand out and sometimes they aren’t strong enough to make their own decisions between right and wrong. According to the Department of Health and Human Services, “Peer pressure often challenges a teenagers’ morals, values, and beliefs when especially experimenting with illegal drugs. Teens simply just want to be accepted, and will often justify their behaviors by making excuses for what are clearly irrational decisions, however when it comes to drug use, it’s hard to pass up an offer without standing out. It is very important to educate teens on the dangers of drug use so they can stand up for themselves and learn to say NO. If they don’t remain true to the values and morals they have been taught, and consider taking drugs as a choice, peer pressure will likely lead them into a dangerous direction. Taking illegal drugs such as steroids can harm the body and damage internal organs. Remember, often the pressuring parties are the ones normally seeking approval for their behaviors so by denying to do things you don’t feel are morally right, you could also have a positive impact on others to make the right decisions. For teens, often friends become more of an influential part of their life, therefore it is even more important for parents to keep instilling what is right and wrong behavior. Studies show that often parents believe their teens don’t listen to them or value their opinions, but that is incorrect. Teens like structure and open communication and work better when there are rules enforced. Parents are encouraged to discuss with their kids ways to combat peer pressure. A good example would be role playing or rehearsing different scenarios and teaching them to answer with comments such as “No Thanks”, or “It’s not really my thing”, and “Why do you keep pressuring me when I have said NO?”. The earlier peer pressure is addressed, the better the chances are of having more positive results. 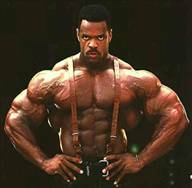 Some people feel the sport of professional bodybuilding is to blame for steroid pressures because of its contradictory practice in name, method, and ideals. Bodybuilding can deteriorate ones health by increasing bodyweight, wearing on the joints, and risk both chronic and acute injuries. Although it does provide some mental health benefits as increased self-esteem, self-discipline, and self-empowerment, these are greatly outweighed by the promotion of insecurity, shame, and unrealistic physical goals. Adolescents are faced with another pressure, steroid use in high school sports. This enhanced potential for success in sports, and the desire for athletic scholarships has caused more cases than ever before of teens using steroids. A coach is far more than a team strategist, he is a motivator, and encourager, and a confidence builder. He is in a unique position to help influence and mold young minds through sports and encourage them not to take steroids. Coaches are in a great position to build that special rapport with their athletes, and some people may underestimate their strong influence. The team should be encouraged to ask life questions, and to discuss drug use in a non-threatening environment. Often, failure by coaches to address this topic is mistaken for consent, or a lack concern. Throughout this article there have been many outstanding points regarding peer pressure in the young adult lives of the world. Youth outreach programs such as ATLAS, Anabolic Steroid Prevention for Teen Athletes and ATHENA, Athletes Targeting Healthy Exercise and Nutrition Alternatives, were developed to encourage positive peer pressure in high school athletes. Not only are these programs effective, but teens/adolescents can also influence each other in a proper manner if they have the right encouragement from parents, teachers, coaches, and family. Friends can also take a stand with one another by surrounding themselves with positive influences and staying out of situations where they could be pressured to make bad decisions.